By Allie Larkin. Plume. $15. Love, empowerment and a dog named Joe add up to a celebration of life in this fun and engaging first novel by Larkin. When her best friend Janie marries the love of her life, Peter, what follows is a sobering series of twists and turns in multiple directions for Savannah “Van” Leone, the book’s central figure and bridesmaid at the lavish wedding. Her prescription for recovery: Get a dog who will love her unconditionally. While drunk at home in Rochester, N.Y., and after watching an old Rin Tin Tin movie one night, she gets on her computer and types in and eventually finds what she hopes is the answer, a jet black German shepherd “puppy” from a breeder in Slovakia but the site isn’t in English. After four attempts of typing in her credit-card number, she finally gets it right Voila, Van has bought a dog, which she was to discover a few days later $6,001, including shipping. What unfolds thereafter is a nicely crafted narrative that breathes vivid life into a colorful mosaic of characters, including Alex, a nearby veterinarian who not only treats Joe on several occasions but in the process becomes the much-needed love in Van’s roller-coaster life. Throughout, Joe, the Slovakian German shepherd that answers to Slovakian commands, is the conduit enabling Van to embrace some relationships and stiff-arm others. 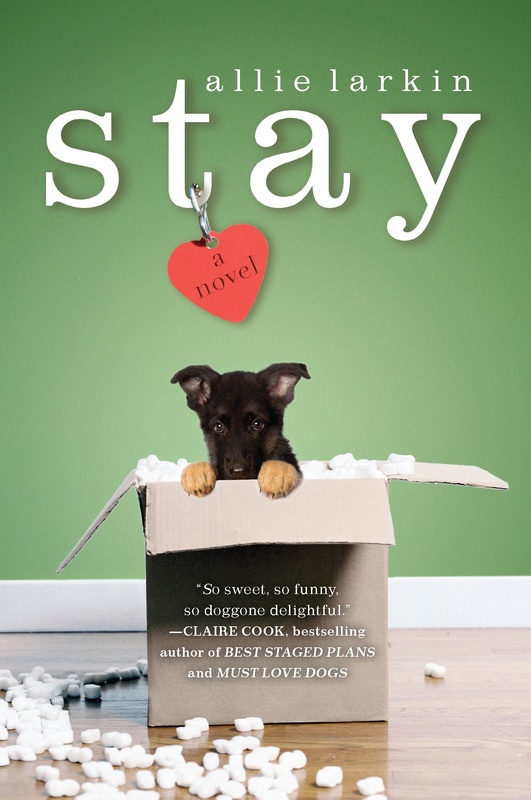 A fresh hybrid of laughter and sadness with a socko ending, “Stay” exudes a refreshing bluntness and feisty spirit while capturing the essence of how a dog can be a girl’s best friend in the worst of times.